Fr. Graeme Napier was formerly Associate Priest in the Parish of Cowley St John, Oxford, where he has particular responsibility for liturgy, music, and events. Born and raised in Ireland, Fr. 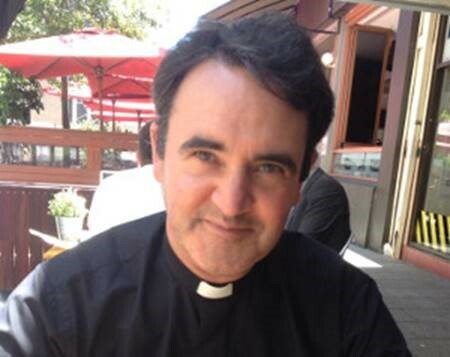 Graeme is a graduate of Magdalen College, Oxford, and was trained for the priesthood at St Stephen’s House, the Anglo-Catholic seminary in that city. He served at St Andrew's Cathedral, Inverness before moving to the Anglican Church of Australia to serve as Assistant Priest, then Interim Rector at Christ Church St. Laurence, a busy inner-city Anglo-Catholic parish. Called to Westminster Abbey as Minor Canon and Succentor, he was responsible for daily worship, special services, and pastoral care for staff and volunteers. Appointed Precentor of St George's Cathedral, Perth, Fr. Graeme returned to Australia to oversee all worship and many special events in that cathedral. He has spent an academic year in full-time study at Nashotah House, Wisconsin, a seminary of the Episcopal Church, which involved time in New York City in the archives of General Theological Seminary.